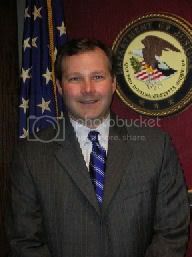 Tim Griffin -- a former aide to top Bush adviser Karl Rove and a key player in the U.S. attorney politicization scandal -- has long been haunted by charges that he was part of an illegal scheme to keep black Florida residents from voting in the 2004 elections. Appointed last year by President Bush to serve as a U.S. attorney in Arkansas, Griffin resigned earlier this month amid growing controversy over his role in possible voter suppression efforts. Now a fresh analysis of voter data by the excellent TPMmuckraker blog suggests that the allegations against Griffin may be true. The analysis started with a spreadsheet of names and addresses of more than 1,800 voters in Duval County, Fla. sent in an August 2004 e-mail obtained by BBC reporter Greg Palast. Griffin -- then the Republican National Committee's head of opposition research -- was copied on the e-mail, the subject line of which was "caging." That's a direct-marketing term for processing returns from a mailing. The technique has been used by Republicans in the past to generate a list of potentially ineligible voters by sending mail to them stamped "do not forward"; any returned mail is then used at the polls to challenge their residence. To ascertain whether the "caging" list was made up mostly of African Americans, TPMmuckraker compared the names with the 2007 voter rolls from Duval County. As it turns out, most of those on the list were Democrats -- and most of those Democrats were African-American. Under the Voting Rights Act, it's against the law to target voters on the basis of race. If, for example, the list was generated in response to a mailing to new registrants as Republicans have argued, the skew might result from a disproportionate number of those new registrants being African-American Democrats. The results, he said, do not provide "a smoking gun" of a Republican attempt at voter suppression. Speaking two weeks ago, Griffin focused on the term 'caging,' saying that it's simply a direct mail term. "I didn't cage votes, I didn't cage mail, I didn't cage animals," he added. The allegations that he was involved in voter suppression, he said, were "ridiculous" and "so untrue" that he couldn't even respond to a question about them ... ."
If the "caging" list was really nothing more than a catalogue of returned mail, why were senior Republican officials concerning themselves with such clerical matters? The revelation comes amid growing concern over other possible GOP voter suppression tactics elsewhere in the South. That includes an effort we've reported on extensively by the North Carolina Auditor, Republican Les Merritt, and his spokesperson, Chris Mears, to challenge legislation designed to boost voter participation by raising baseless allegations of possible voter fraud. Mears previously served as the political director of the state GOP, where he was involved in his own voting scandal. ADDENDUM: Here's another excellent analysis of what happened in Duval County posted over at Daily Kos. Though the author has found serious weaknesses with Greg Palast's reporting, he confirms that the 2004 caging was racially biased in its effect. He also makes the point that documents obtained as part of a caging case in Ohio "revealed indisputable RNC involvement in caging (Tim Griffin and others), as well as concern about 'GOP footprints' if the caging efforts were brought to light." And he points out that a high-level official in the Bush/Cheney 2004 campaign "suggested use of caging lists to challenge absentee ballots in Ohio, Pennsylvania, Florida, Nevada and New Mexico."